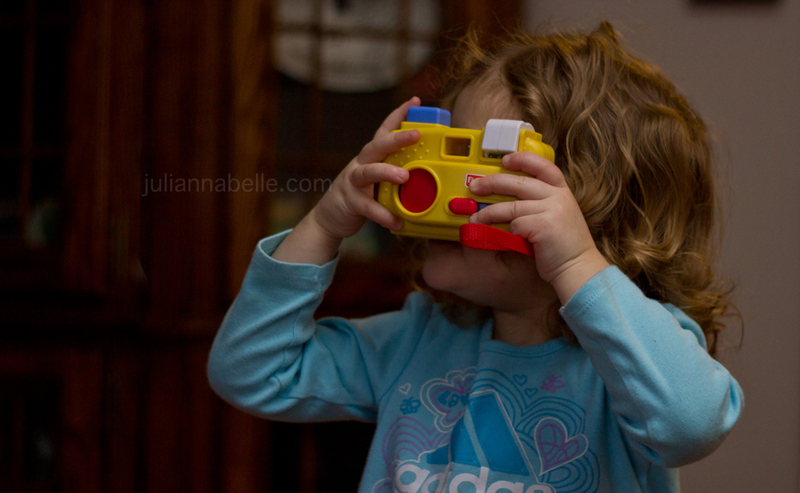 First Time Mama - First Time Blogger: Stuck in the house- When will Winter be over? Stuck in the house- When will Winter be over? 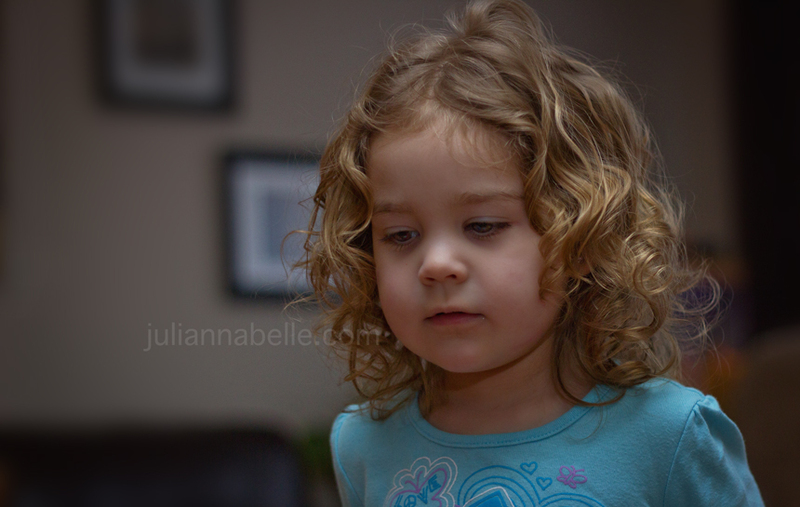 I took some photos the other day of Julianna in the house for my last post - but I wanted to put the rest here as I think some of these are particularly cute! I don't get inspired to take photos of anything in the Winter time in the house. The motivation is just not there right now. But last Sunday, I did have the desire to get my camera out and feel the photo joy. 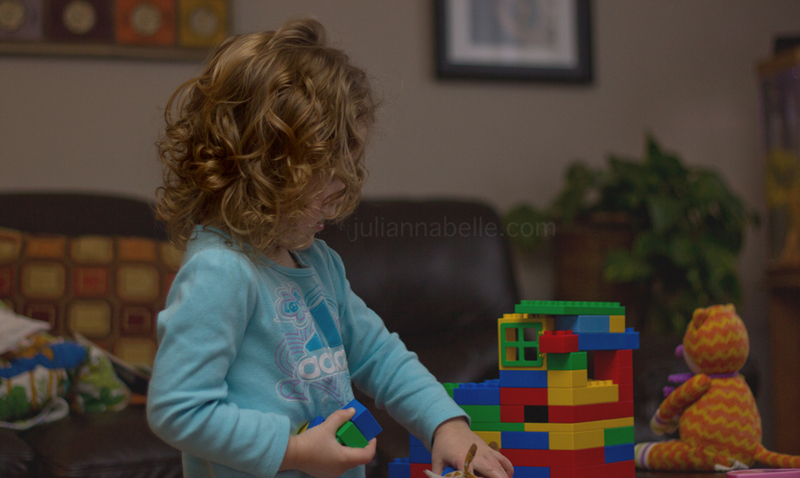 Julianna playing with her beloved legos. Legos again! 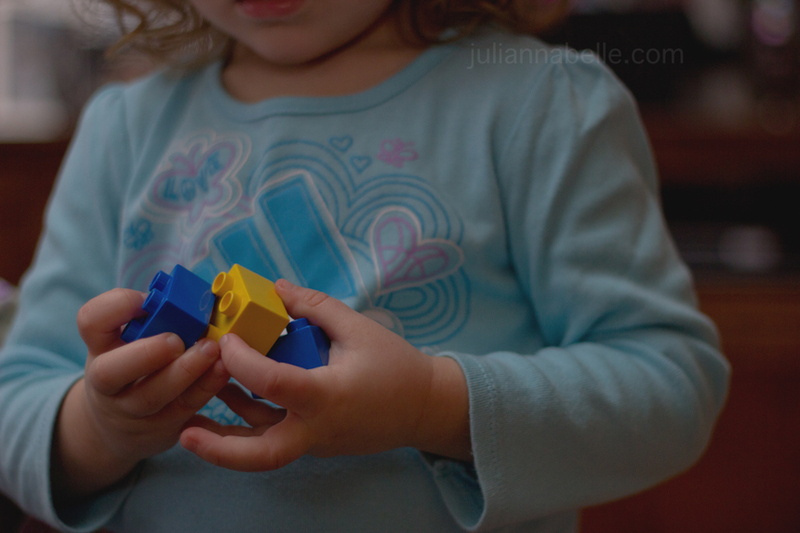 She likes to build houses & garages for her cars. Spring is right around the corner.... I can feel it! She's so gorgeous! Love, love, love her curls!!! I hope you're right about Spring coming soon--cause I am tired of winter! Great photos!! I struggle with indoor shots. 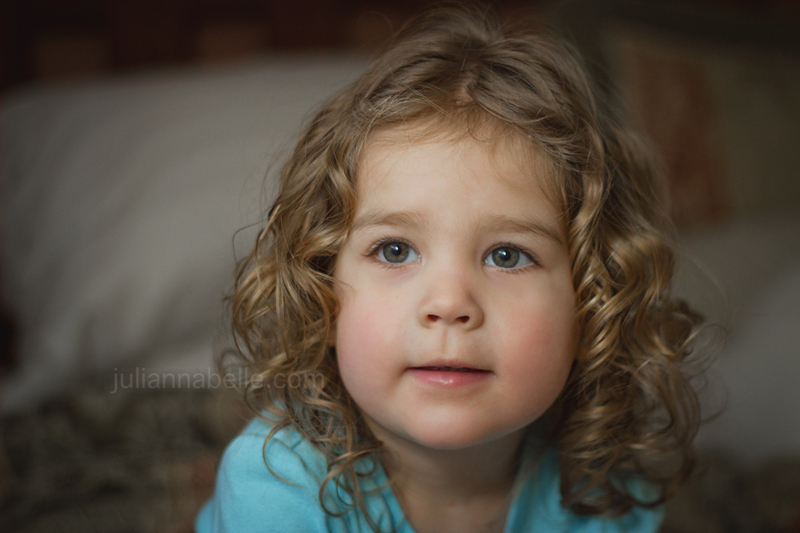 Love her little curls--so cute!! Her hair is so adorable! What a cutie! First visit here. 28 weeks! Hello 3rd trimester! How come my toddler girl ..... ?